Dan Greiner is the husband of Lori Greiner, the American renowned inventor and a prolific Shark Tank personality who has helped many people nurture their ideas, turning them into viable businesses. He does not just bask in the glory of his wife’s success but has allowed her to shine her brightest while comfortably enjoying the recognition as her driving force and support system who helps turn all her beautiful dreams into realities. He has also personally recorded some achievements; as a former a division controller at Bell + Howell Corporation, before he jointly co-founded chains of businesses with Lori Greiner. He doubles as the Chief Financial Officer and Chief Operating Officer in For Your Ease Only Inc – their company. Join us as we take you on a journey through his bio, net worth and other facts about this entrepreneur and husband. Dan Greiner was a private gentleman before his marriage to the delectable and brilliant Lori Greiner flung him to the spotlight where people always ask about his background. Although basic information like his date of birth, childhood, educational attainments, family background is not readily available to the media, we know he was birthed somewhere in the United States of America where he trained as an accountant. His story can only be told from the time he became the focus of the media. It is reported that he worked with Bell + Howell in the capacity of a division controller until he resigned, taking up the position of the finance manager at For Your Ease Only Inc. There, he has successfully put to work his wealth of knowledge, transforming his wife’s ideas into an enviable business empire. He has been busy making cool cash even before he married his wife – having previously worked as the division controller at Bell & Howell, in 2012. Dan Greiner’s net worth, combined with his wife’s income is pegged at the estimated sum of $50 million which is quite huge. They have an investment firm that specializes in media and entertainment production, including their investment holdings, marketing consultation and representation where he doubles as not just co-founder but the Chief Financial Officer and Chief Operating Officer apart from his other designations as Vice President of For Your Ease Only Inc. The couple met in 1996 in Kincade Lincoln Park and Grill and after a lengthy courtship, they exchanged marital vows in 2010. Prior to their marriage and now, Dan has been a massive support system to his wife, Lori Greiner, the acclaimed queen of Quality Value and Convenience (QVC). Lori on her part has never failed to acknowledge the wonderful sacrifices of her man who she says he is her better half and her driving force. When Dan resigned from his work at Bell + Howell, he did so to join You Ease Only Inc for the sole aim of helping his wife to nurture her dreams. 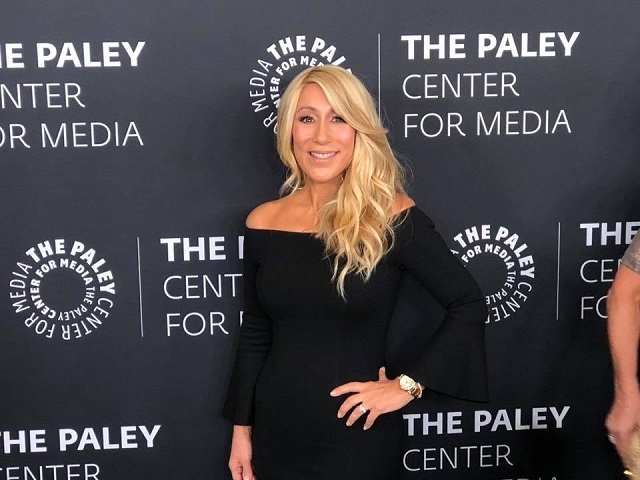 Lori Greiner is an American television personality, inventor and entrepreneur, as well as one of the human sharks on Shark Tank and the spin-off Beyond The Tank reality TV show, where she featured as a judge/mentor. She was born on December 9, 1969, in Chicago, Illinois in the U.S. She graduated from Loyola University Chicago with a degree in Communications. In 1996, she created a plastic earring organizer after she took a loan of $300,000 to bring it into existence before J.C. Penney got interested in the business and the rest, as they say, is history. Today, her dream has grown into profitable investments, running into millions of dollars. Aside from her businesses, she has proudly authored a book titled Invest it, Sell it, Bank it! – Make Your Million Dollar Idea into a Reality, a business guide book published in March of 2014. He is yet to father any child with Lori Greiner. However, as heart-wrenching, as it may sound, it is not really a source of worry for the couple as it is yet to be an issue of concern. Lori has repeatedly hinted that she loves kids and would always welcome any dropped at her doorstep. Dan Greiner’s height and weight are unknown, that notwithstanding, he appears athletic with brown hair and very smart eyes.